Awesome guitars… and a cool bass. Just a collection of cool electric guitars. 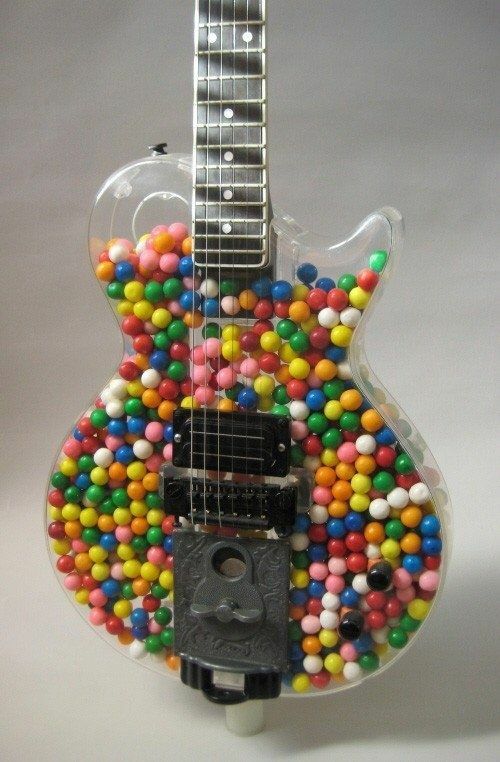 Pinterest has plenty of really cool guitar pics and links. Nothing like a thematic urinal. I wonder if it plays any music. Ninjas with guitars… this is a thing. Ninjas with guitars. A family favorite. Who knew? Apparently this is like a thing. People who play guitar and dress up like ninjas. I’m sure they are very popular with the ladies. Spock gets just a little bit cooler when he has a guitar in hand. Star Trek never did a good enough job embracing music in the future. Spock could probably bring it pretty hard. He’s a little bit of the typical Harvard (ohh my God I’m so important), but he can play a killer guitar. Might be time to invest in a processor. This is just a fun guitar. Spring is coming and this is a fun guitar for the season. This Fender guitar is awesome. Check out the specs from the Fender Web site. Return to the dark intensity and huge guitar sounds of the grunge rock movement with the Kurt Cobain Jaguar, a new-looking version of the battered and highly unusual 1965 Jaguar that Cobain wielded during the heady early-’90s era when Nirvana ruled rock and led a musically stunning and culturally subversive movement. It authentically evokes the modified left-handed Jaguar that Cobain found secondhand and came to prize shortly after the recording of massive 1991 album Nevermind, complete with DiMarzio® humbucking pickups, special switching, exclusive in-case extras and more. Available in right- and left-handed versions. 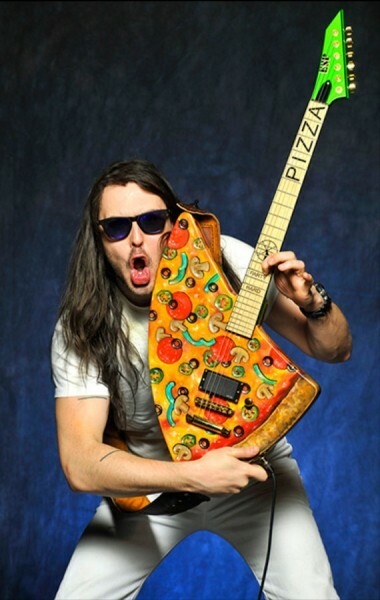 Take one awesome thing and add another awesome thing and you get my salute the food inspired guitar series. I am pretty sure none of these are sanctioned by fender, gibson, PRS, Ibanez, Yamaha, or any others.